Legalizing U.S. documents for use in another country has a few quirks and pitfalls (for more information on this topic see our previous post, Apostille, Authentication & Legalization Basics). Once you get outside the U.S., there are a lot more factors to consider as you need to look at the conventions and procedures of both the originating country and the destination country. 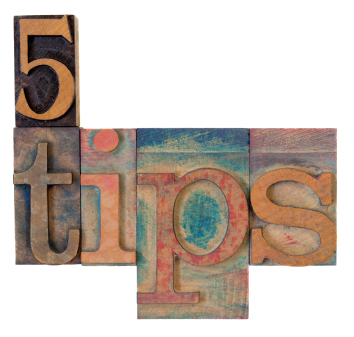 These five easy tips can help you obtain the proper certifications needed to verify the authenticity of a government seal or certificate from one foreign jurisdiction so that your important document will be accepted in another. Check the list of “Countries and Territories that are Party to the Hague Convention Abolishing the Requirement of Legalization” on the Authentication and Legalization Resources page of the COGENCY GLOBAL INC. website. This is the first step to determining whether an apostille may be attached or whether full embassy or consulate legalization is required. It is necessary to check both the country where the document originated and the country where it will be used. If either country is not party to the Hague, then the embassy legalization process must be used. 2. Pay attention to the size and political stature of the originating country. While a country like the Caymans or the BVI may be an international financial center, they are small and are British overseas territories. Very few nations have an embassy or consulate there. Documents issued in small or dependent countries must often be further legalized to be effective. a. Have the document authenticated by the Barbados Corporate Affairs and Intellectual Property Office. b. Barbados is a Commonwealth Realm, so the documents should then be sent to the U.K. to be further authenticated by the Foreign and Commonwealth Office. c. The document must then go to the Dubai embassy in the U.K. for legalization. The process can be long and expensive taking several weeks and costing several hundred dollars. 3. Consider how the documents will be delivered and picked up from the foreign embassy. It can be helpful to have a knowledgeable agent to assist you with the process of dealing with embassies in a foreign country. An agent familiar with the quirks and foibles of the various embassies and their own country’s government agencies can save you a great deal of time and aggravation. An embassy may not process mail inquiries as expeditiously as walk-in requests or may refuse to use a courier service to send out international documents because of the extra work involved. 4. Expect the unexpected! When it comes to legalization, the embassy holds all the cards and there is often little that can be done if they delay or refuse to authenticate a particular document. While the embassy is only supposed to verify the authenticity of the seal and signature of the government authority, it is not unheard of for an embassy to review the contents of a particular document and refuse to issue their approval based on something within the document that they deem improper. 5. Pay attention to the requirements for the documents to be presented. These may not always be the same as in the U.S. For example, in the U.S., a document bearing the seal and signature of a registered notary public can be verified, authenticated and then legalized by the appropriate embassy or consulate. In the U.K., a document can be certified by a solicitor or a notary public and the FCO will authenticate the signature. However, certain embassies, such as the Brazilian embassy in the U.K. will only accept a document verified by a notary public, not a solicitor. Legalizing documents that originated outside the U.S. is usually expensive, time consuming and tricky. What has your experience with this process been? Do you have any tips you would like to share?